On occasion, we journalists are allowed to step through the virtual time machine and sample a manufacturer's greatest hits of yesteryear. You've seen the stories: new M3 versus BMW's museum-piece E30 original! Well, Honda has its own collection – mostly regular old cars that should've been beat to hell long ago, but instead are sitting there in showroom condition. There's a teal '90 Accord wagon with dope plastic wheel covers with my name all over it. But today, that time machine's going the other way. Sure, the headline and badge reads 2017 Honda Clarity, but it sure as heck looks, feels, and drives like a 2022 Honda Accord. 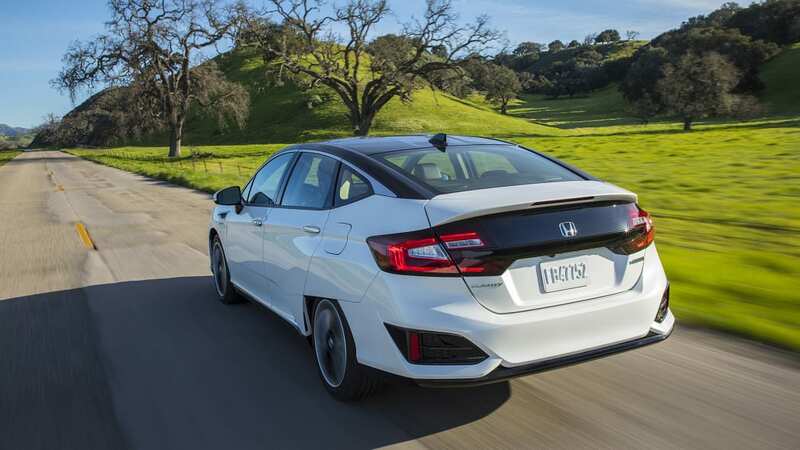 The dimensions would be consistent with a next-next-generation midsize sedan, the look is familiar but evolutionarily advanced, and the cabin is different enough without being concept-car kooky. Oh yeah, and it's powered by hydrogen. 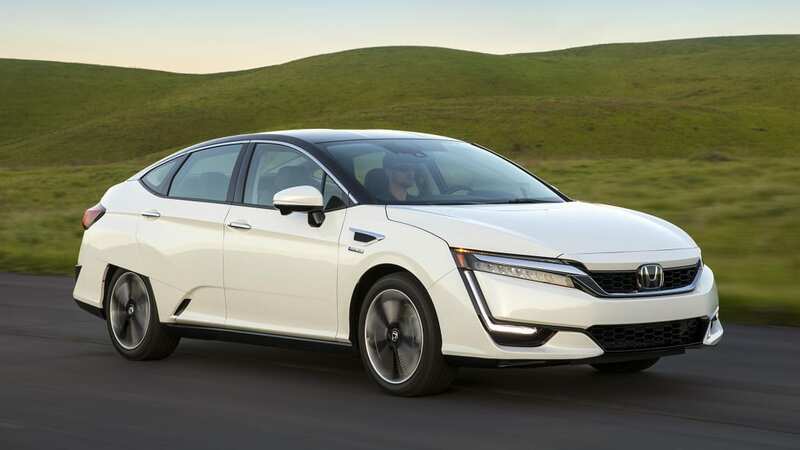 That's obviously its most futuristic element, but Honda's latest hydrogen fuel cell powertrain is also why the Clarity feels less like a low-volume science project of today and more like a regular car beamed in from tomorrow. Get behind the wheel and it accelerates like an electric car with no weird noises or sensations. 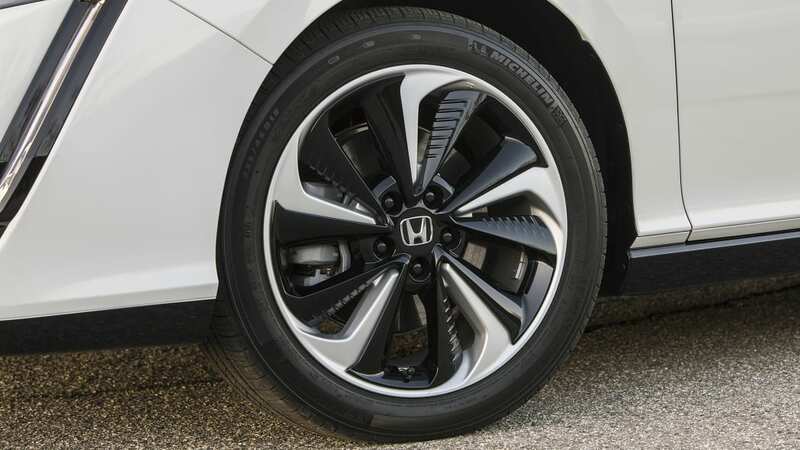 The steering, the brakes, and the handling in general are Accord normal. 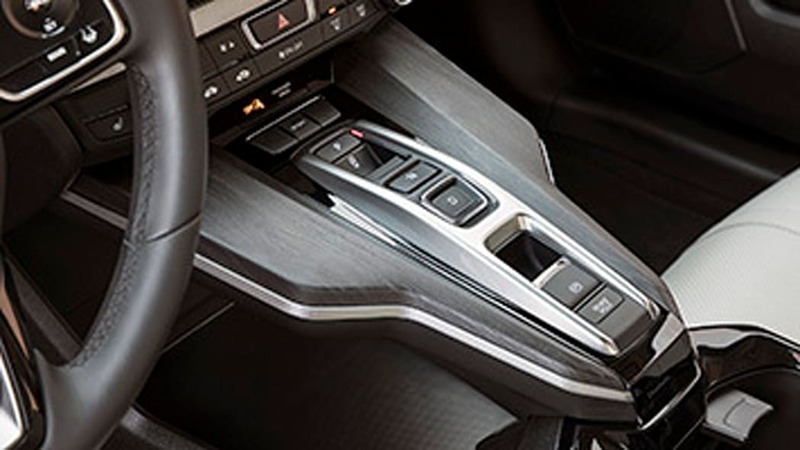 Look around the cabin and you'll see five seats uncompromised by odd bulges disguising powertrain components. Much as the real cars of 2015 didn't fly, the ones from 2022 aren't likely to be that different, either. 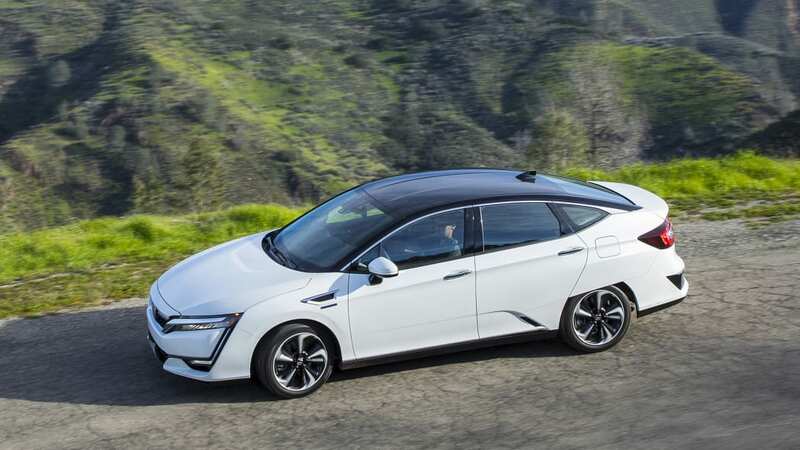 However, a hydrogen fuel cell car like the Clarity is indeed different. Rather than a gasoline engine, there's a stack of fuel cells packaged within a metal housing roughly the size of a desktop computer. 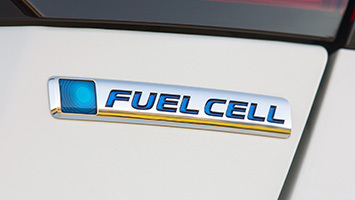 Within it, hydrogen and oxygen are chemically combined to create the electricity needed to move the car. 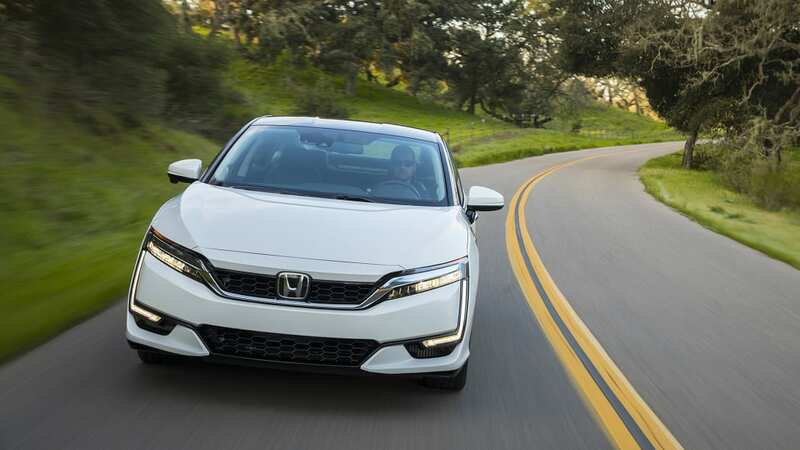 Much like a regular hybrid, an electric motor and a lithium-ion battery pack augment that acceleration, and as you might recall from basic chemistry, the byproduct of combining H2 and O is water. No smog-causing or climate-changing emissions. 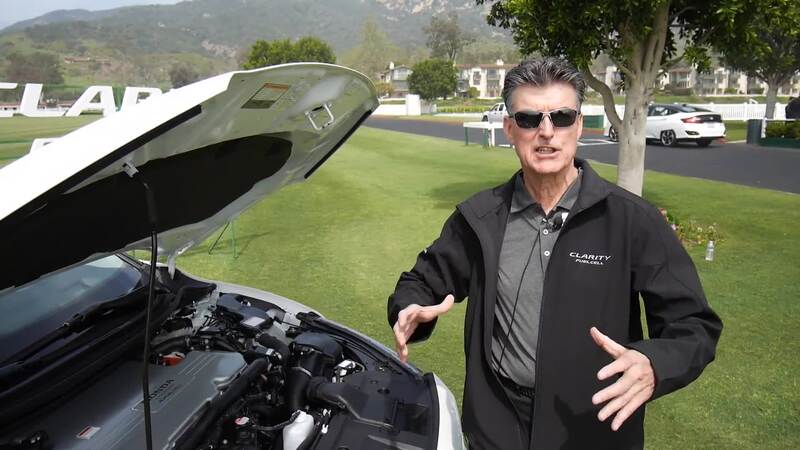 Those are the basics, but rest assured that this is the most complicated car powertrain you'll ever come across. 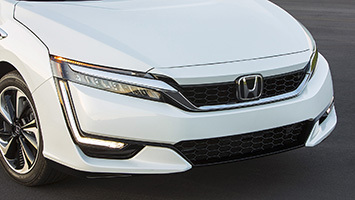 The press release reads more like Geordi LaForge than Honda Accord. "The four-phase drive, based on four SIC-IPM control phases staggered by 90 degrees, minimizes the ripple current by cancelling the current fluctuations generated by switching. This reduces the capacitance requirement for smoothing of ripple current, so a smaller capacitor is used on the primary side." Acknowledged, Commander, good to know. 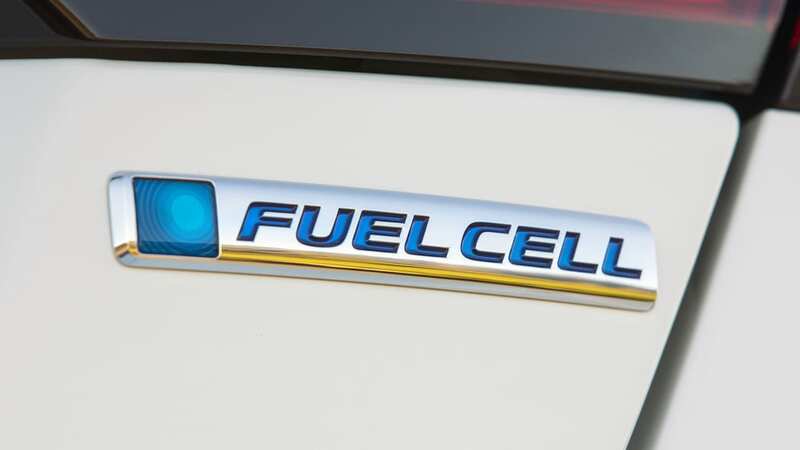 But that technobabble ultimately describes one of the many enhancements developed for the new Fuel Cell Voltage Control Unit, or FCVCU, which together allows for the new Clarity's packaging improvement and increased normalness. You see, the old electric motor, gearbox, and power control unit might have been under the hood, but the fuel cell was located vertically between the front seats. 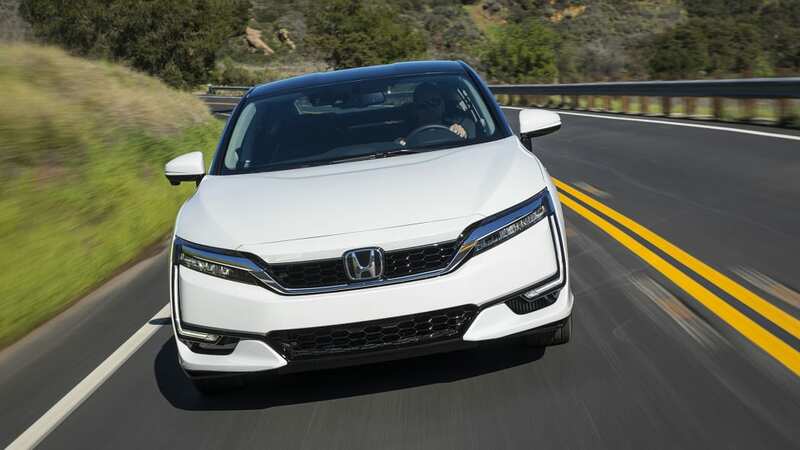 This, paired with a giant hydrogen tank in the trunk, meant that the car's passenger compartment and general usability were compromised by its powertrain of tomorrow. Now, not so much. 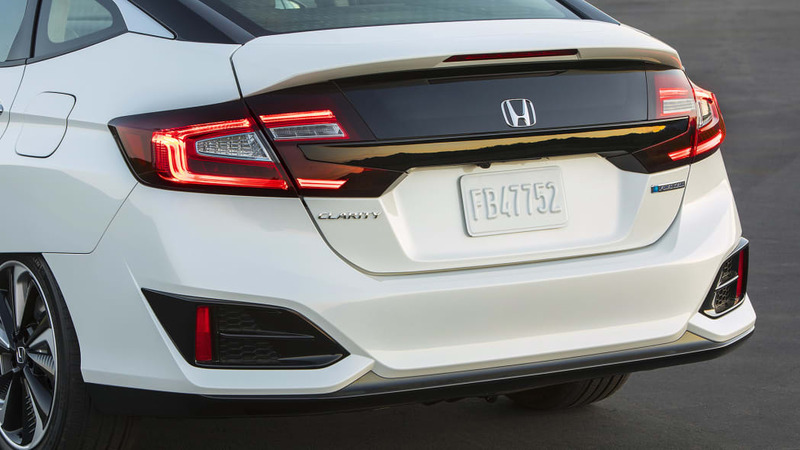 All of the componentry that was previously under the hood has been tilted forward 90 degrees, allowing for the new, more compact fuel cell to be sandwiched horizontally between it and that new FCVCU above. 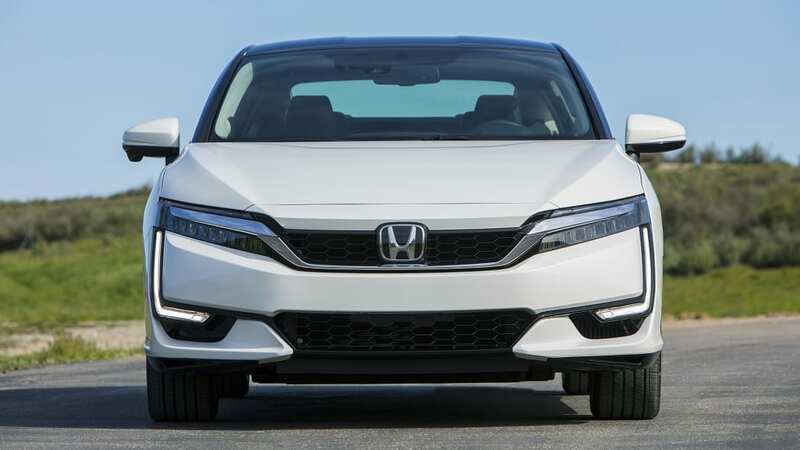 Altogether, it's roughly the same size as an Accord's V6 powertrain, and although the small lithium-ion battery pack technically still resides under the front seats, the cabin is no longer compromised. 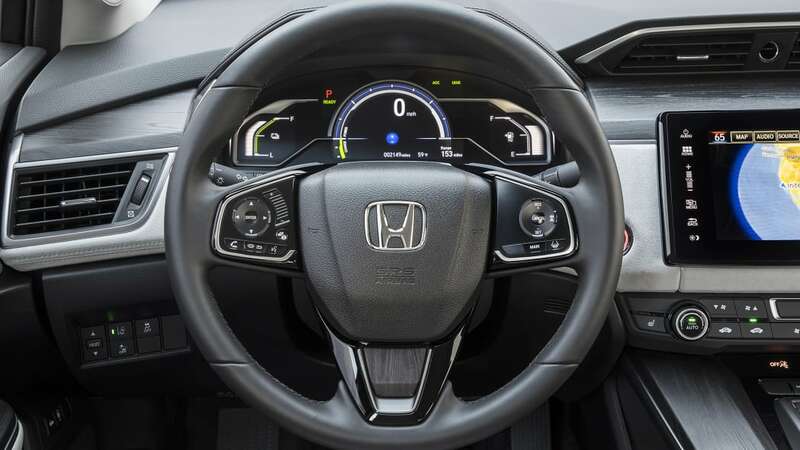 The driving position is at a normal height, there's a regular center console boasting Honda's usual clever packaging, and importantly, there are five seats, rather than the four provided by the previous Clarity and the Toyota Mirai. Meanwhile, that giant hydrogen tank issue was dealt with in two ways. 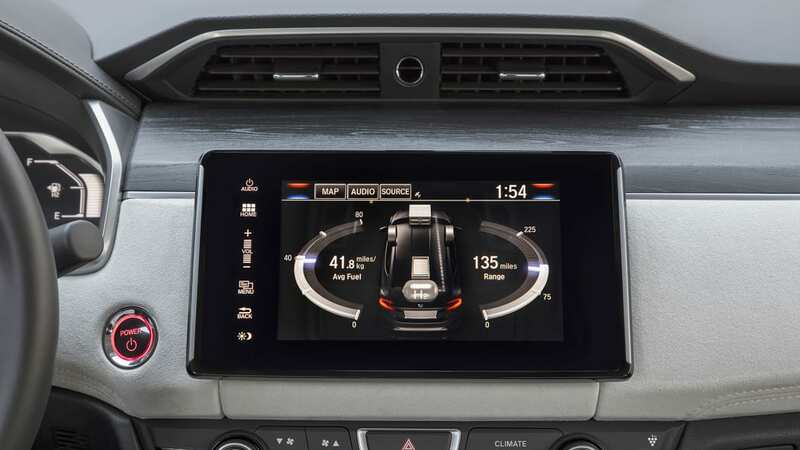 First, the Clarity utilizes H70, or the newer standard that compresses hydrogen to 10,000 psi. The old Clarity used H35 hydrogen compressed to 5,000 psi. 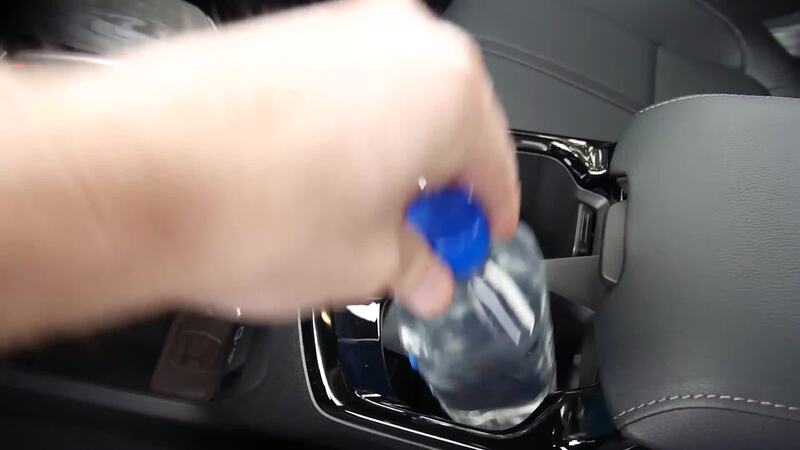 This means you can haul around more H2 despite having a smaller tank. 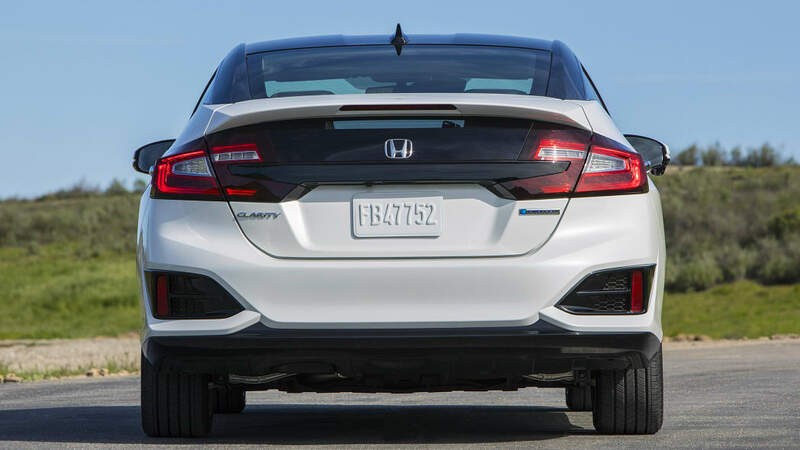 Or, in the case of the 2017 Clarity, two smaller tanks: one under the back seat and another in the forward portion of the trunk. Yes, it still robs cargo space, but the remaining 11.8 cubic feet is similar to what you'd get with a midsize hybrid sedan. 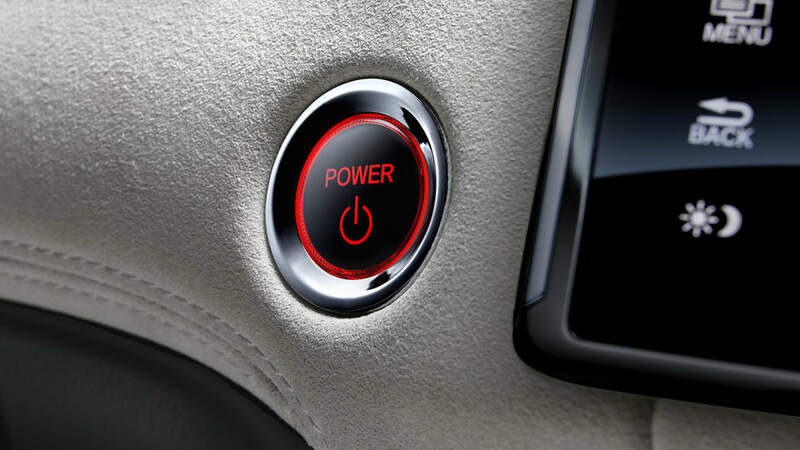 Another key advancement is the new electrically driven turbo air compressor that feeds oxygen into the fuel cell. The old one was more akin to a supercharger, resulting in a whining scream when accelerating hard. 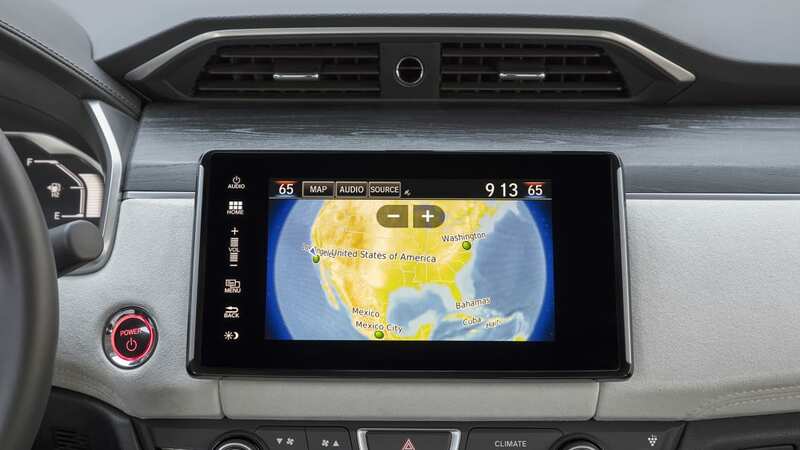 It's something you can still experience in the Mirai. 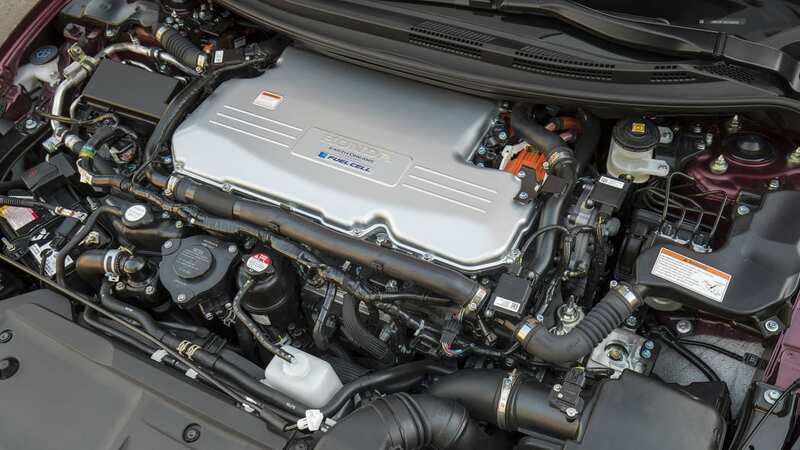 With the turbocharger, there's the slightest hint of a fan-like whir when you gun it, but the overall noise when accelerating is practically indistinguishable from an EV. And on the road, that's the general impression you get from the Clarity. 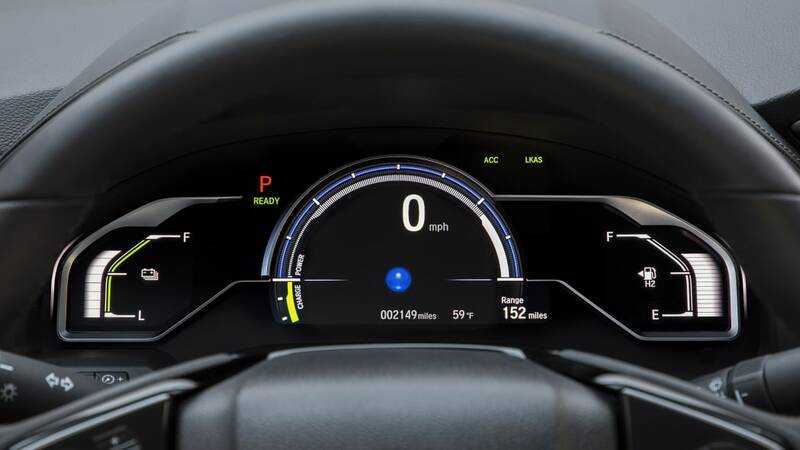 Press the questionably named "Sport" button and you even get enhanced regenerative braking, though sadly not as much as in a Tesla or BMW i3. Yet, it also feels like a more premium vehicle than the typical EV or the current Accord – if not a 2022 vintage, then at least Honda's attempt at a Toyota Avalon competitor. The cabin is very quiet and the ride is impressively buttoned down, feeling every bit like the long-wheelbase, hefty-curb-weight (4,134 pounds) car that it is. The steering, true to Honda form, is consistently and appropriately weighted, feeling just as adept at cruising down the highway and puttering around town as it is navigating the mountain roads selected for the drive route around Santa Barbara, California. 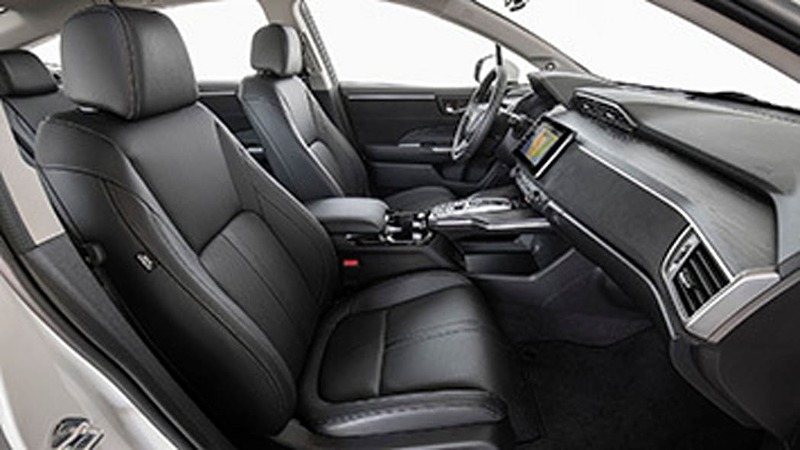 The cabin also goes a long way in providing that premium feel. 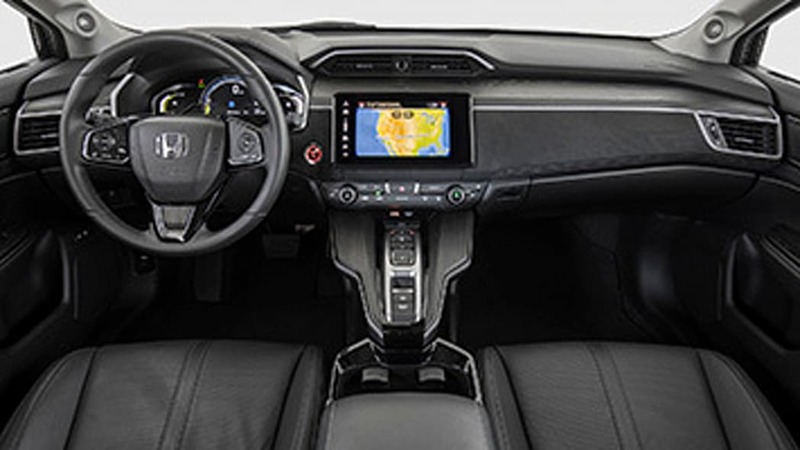 The Clarity has by far the highest-quality interior in the Honda fleet and its design is far more compelling than anything sold by Acura (yes, even the NSX). 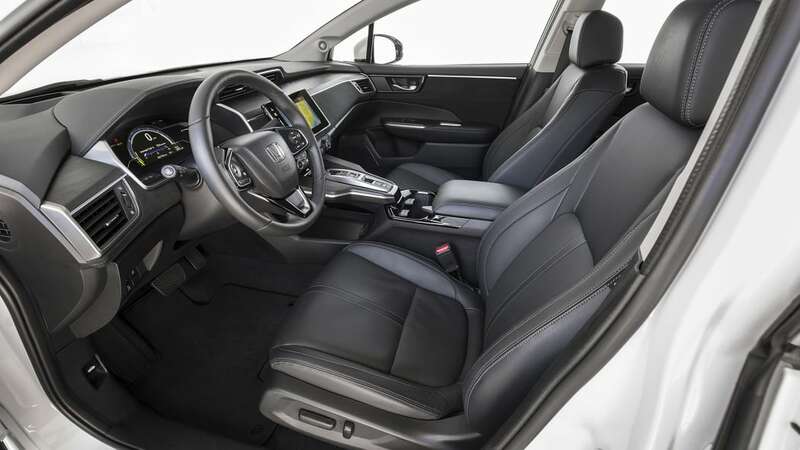 The open-pore wood trim used in tasteful abundance on the dash and floating center console looks excellent, as does the suedecloth trim in between. Even Honda's standard touchscreen infotainment system manages to blend in with the quasi-futuristic motif, although it's unfortunately not the new-and-improved version found in the 2017 Honda CR-V (read: no volume knob). 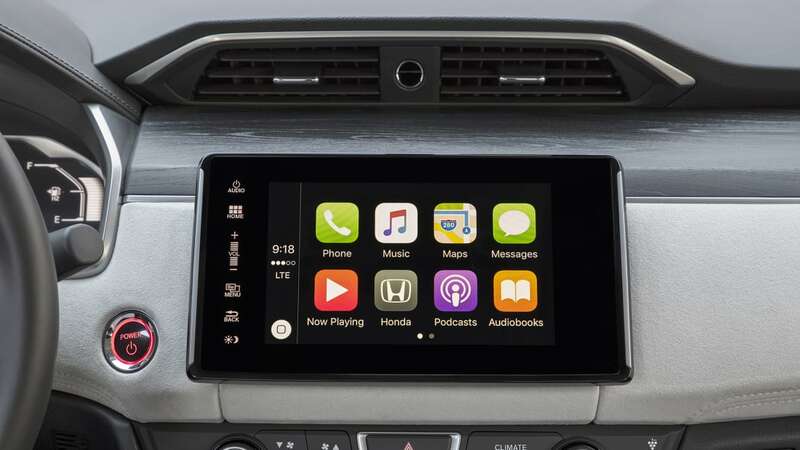 The standard adaptive cruise control and forward collision warning system are also, frustratingly, not the CR-V's upgraded units. They're still dim-witted and prone to crying wolf. One would imagine the real 2022 Accord will do better. 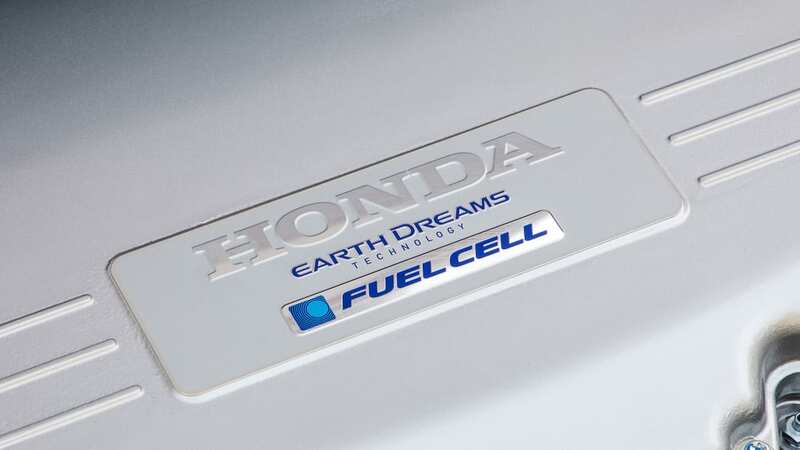 Of course, a more premium Honda midsize sedan with a hydrogen powertrain doesn't come cheap. 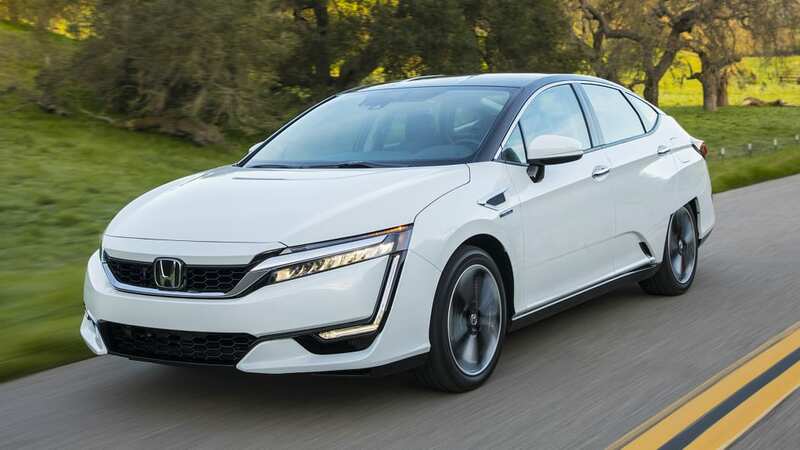 Available only fully loaded, its suggested retail price is $58,490, but since you can only lease it, the real number to consider is $369 per month with $2,868 due at signing. You're also given 20,000 miles per year (with HOV lane privileges, owners typically go further than you'd expect), $15,000 worth of free hydrogen (the result of older stations' difficulty in identifying how much they're dispensing), and a $5,000 tax rebate from the state of California (that's right, you can't get a Clarity anywhere else). To put that into the only perspective possible, a Toyota Mirai is $349 per month with $2,499 due at signing and a 12,000-mile limit. You get the same free hydrogen and tax rebate. 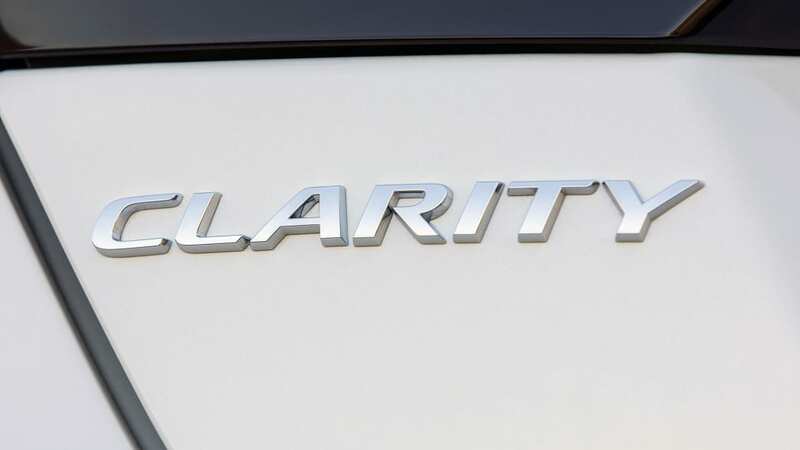 After driving both cars back-to-back, the Clarity's price premium seems to be worth it. 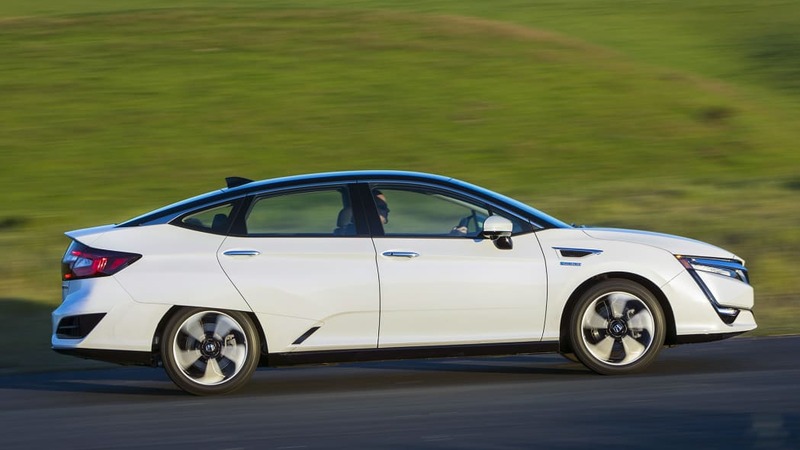 Not only is it more normal to drive, it's also bigger and can go further on a tank(s) of hydrogen (366 miles versus 312). 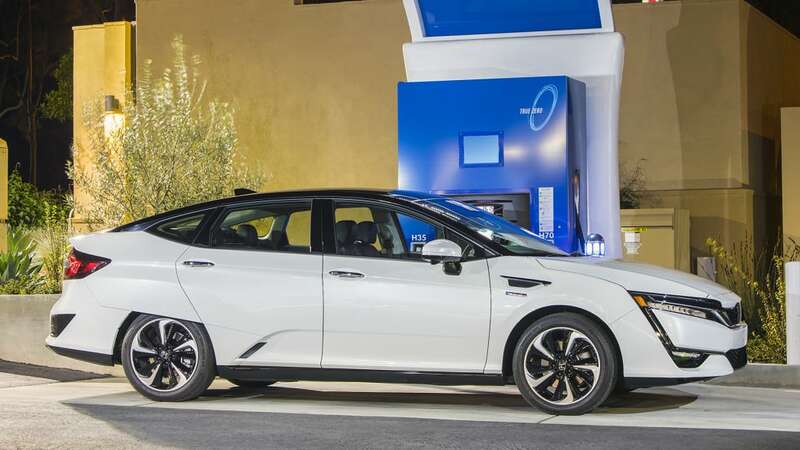 But then there's the entire matter of hydrogen itself, and we're not even talking about the restricted supply – there are actually plenty of stations now in Northern and Southern California. No, since we can't just pop over to Jupiter and fill up a tanker, we have to separate H2 from another substance, say, natural gas or water. That takes a lot of energy. You're effectively using electricity to split water into hydrogen and oxygen, then using that same hydrogen to create electricity and water again. Taking that original electricity and putting it into an EV's battery pack sure seems more efficient. 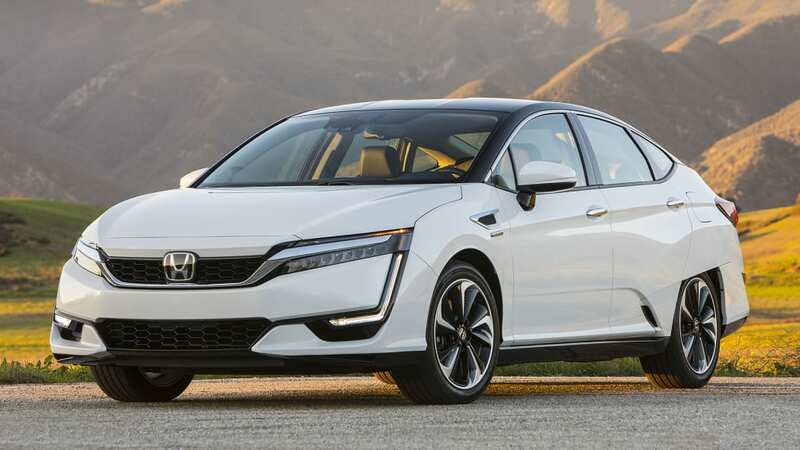 Honda would argue, however, that hydrogen provides an ownership experience more akin to what we're used to with gasoline – specifically, three-to-five-minute fill-ups versus waiting at a Chili's for a half hour as your Tesla supercharges – while being cleaner and less reliant on foreign sources than gasoline. 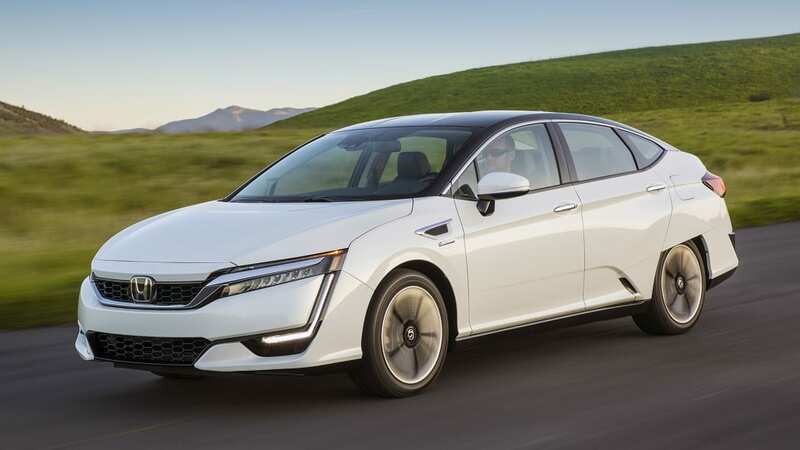 Valid points to be sure, but just to hedge its bets, Honda will be releasing a Clarity EV and Clarity Plug-In Hybrid later in the year. 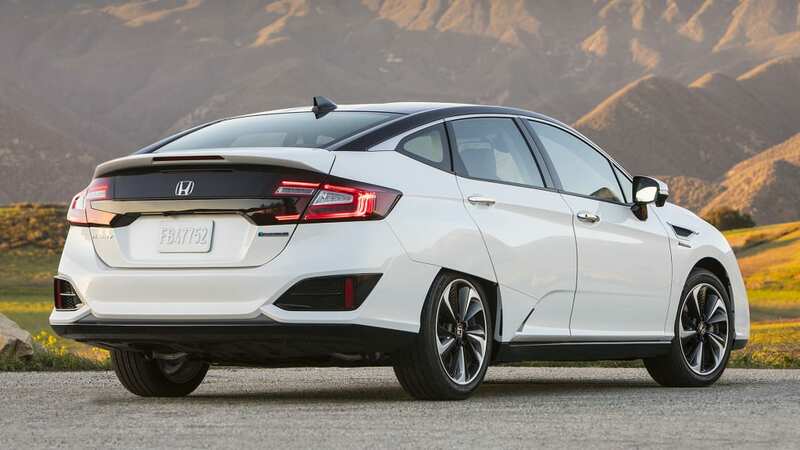 Those will certainly find more homes than the Clarity Fuel Cell Vehicle, and although they won't have quite the same made-in-2022 driving experience, they'll nevertheless retain the same premium feel, uncompromised cabin, and Accord-of-the-future looks (although the aerodynamic wheel slats do give the rear view an almost 1950s retro quality). In other words, you won't need hydrogen to sample the greatest hits of tomorrow.